The Best Western Hotel Charlemagne is a charming hotel that upholds the Lyon tradition of hospitality and prestige with an ideal location. The hotel is conveniently located in the center of town just a stone's throw from Lyon Perrache Main Train and Metro Stations. 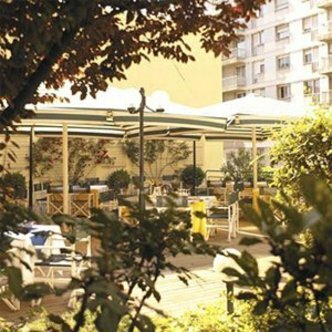 When you stay at the Best Western Hotel Charlemagne you will find yourself in the heart of the dynamic and large city of Lyon. Many attractions such as the Bellecour-Vieux Lyon and Musee Saint Pierre are all within walking distance. The Best Western Hotel Charlemagne has 2 restaurants, meeting facilities that accommodate up to 120, complimentary newspaper, 24-hour security, safe deposit box and much more. Our rooms are nice and have cable television with canal plus and the sport channel, AM/FM alarm clock, coffee maker, dataports, hairdryer, room service and balcony rooms are available.